We’ve been waiting years (14 to be exact) to get a new Failure album. We listened to Autolux releases by Greg Edwards (which were great!) and the multitude of projects from Ken Andrews. But with each year fans wondered – what about a new Failure record? What about a new album from the band that many can say – without hesitation – changed the way they viewed music and more specifically alternative rock in general. What about Failure? Two years or so ago the collective drop of fans’ jaws could’ve been heard from space. Failure was back together. Touring for the first time since the release of their legendary, life-changing release of Fantastic Planet. A record held by many in their hearts as one of the best albums to come out that year and maybe one of the best of the generation. It was then the rumor mill really got going. Could we see a new Failure album? I mean could it really happen? Well it’s no longer a rumor. The Heart is a Monster is finally here and there’s good news. It’s good. In fact it’s more than good; it’s really good. Let the air out of your lungs in relief. 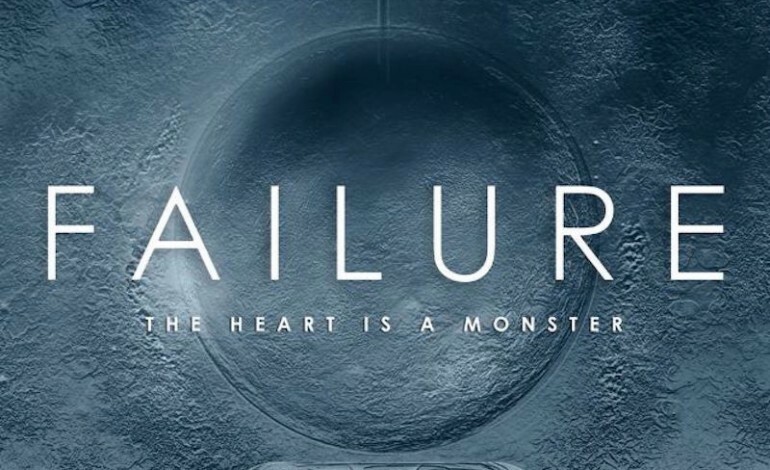 The Heart is a Monster is everything that you could’ve anticipated from Failure. Of course the cries will come from the peanut galleries of “It’s no Fantastic Planet!” or, “They will never live up to what they have done in the past.” That’s unfair. Although a band like this will never escape its cult following, they won’t be able to please everyone. They can still write songs that made them who they are. For example — songs like “Mullholland Drive” and “I Can See Houses” recall the moodiness of early albums such as Comfort and the hook-filled drama of Fantastic Planet. Yes they aren’t “Stuck On You” or “Another Space Song,” but they are great Failure songs. “Hot Traveler,” the first song on The Heart is a Monster, is infectious. The groove put down by Kelli is a march that holds tight throughout the whole song. Clearly he has been able to keep the groove that was the backbone of Failure’s work, a metronome in a sea of odd-timed riffs, in tact. “Counterfit Sky” is another strong song on the album. There is a hint of electronics all over this record and “Counterfit Sky” benefits the most from that influence. Noises seem to pass by you left and right as Ken Andrews croons about “One More Satellite.” Nothing could be better. The best part about this Failure album is that it continues the narrative of a band who have continually pushed the envelope even after their initial break up. The concern held by many on releases like this is the context of the band won’t stay where we left it. That the band we knew and loved would disappear for the sake of “growth” or “artistic expression,” words that cause fans to tremble in anxiety. But tremble not Failure fans – they have done both while still being able to keep their identity in tact. Which brings us to the beginning. What about Failure? With the release of The Heart is a Monster, it sounds like they’ll be just fine.